This Endon Louvre outdoor PIR wall light in 304 stainless steel is rated IP44 and features a modern take on traditional style. Boasting a rectangular wall mount and upright cylinder body, with clear polycarbonate shade and external louvres for a diffused light. Perfect for placing near your front door to light a path for visitors after dark. The integral motion sensor is adjustable for activation time and only operates during the hours of darkness. 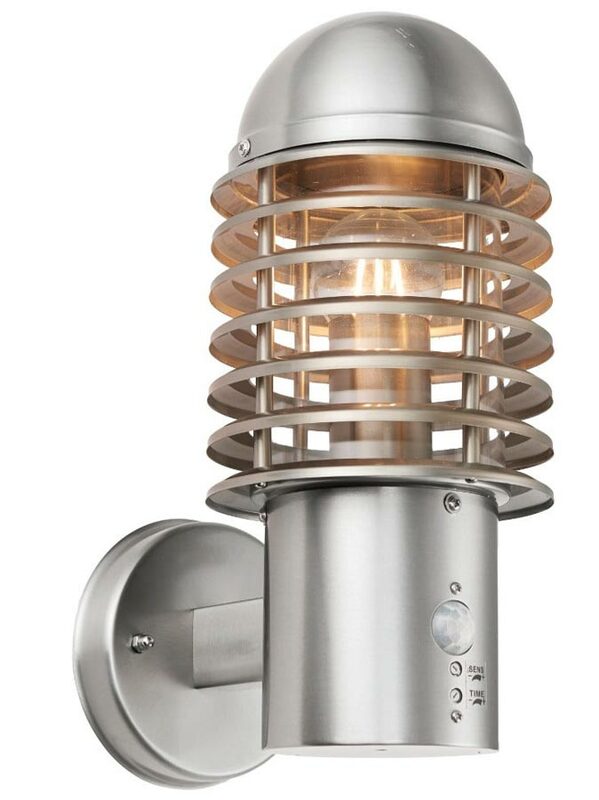 There are matching fittings in the stainless steel finish Louvre outdoor range that includes bollard and pedestal post lights and a wall light; please see below. This exterior light is Manufactured by Endon Lighting, a design led business who lead the way in style and innovation to create an impressive range of products such as the Louvre outdoor PIR wall light in 304 stainless steel and rated IP44 you see here.